Happy World Cardmaking Day, everyone! Today is the day to celebrate us, cardmakers! A lot of companies are having special events planned for today and I’ll share links in this post (I’ll be updating it as I find more promos) so that we don’t miss out. Its a great time to join some challenges, make cards, stock up on supplies and just to have fun! Altenew is offering free domestic shipping and $7 off international shipping for orders over $25. 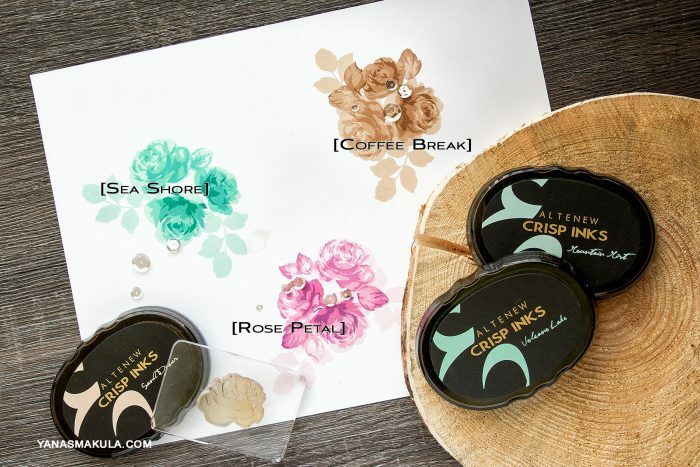 They just had a new release with fabulous new inks, so this is ideal time to save! Click HERE to shop. FREE Shipping on all U.S. retail orders with code HAPPYDAY at checkout. Offer ends at 11:59pm EST on 10/3. Not valid on prior purchases. Cannot be combined with other coupon codes. $7 OFF international shipping on orders over $25 with code CELEBRATE at checkout. Offer ends at 11:59pm EST on 10/3. Retail orders only. Not valid on prior purchases. Cannot be combined with other coupon codes. Scrapbook.com is having 20-50% sale on all cardmaking items. Shop HERE. And they have 20% off all Spellbinders items HERE. Scrapbook and Cards Today is sharing beautiful cardmaking projects on their blog featuring a number of companies and they also have giveaways to go with every project! All you need to do is leave a comment on their blog!